The West Antelope Valley Education Foundation and the High Desert Runners would like to invite you to the 10th annual Nutty Runners 5k AND 10K – race, fun run and walk. This is an event for everybody, including our four footed furry friends. This year, we have our first ever 10K followed by our traditional 5k. We also are adding the NUTTY DOUBLE – the opportunity to display your nuttiness by running both races back to back. The races are held on the paths of beautiful Marie Kerr Park in Palmdale with medals for all finishers, free t-shirts (while supplies last), age group awards in 5 year brackets, valuable goodie bags and an awesome raffle! Come join us and help support WAVE, an organization which provides funds for extra-curricular activities for the children in the Westside Union School District. Unavailable to run/walk on May 4? You can still participate! You can still show your support to WAVE! You can still earn your High Desert Runners’ Gran Prix Bonus Points! Participate in our virtual race! Register as a virtual runner – Save $5 from “real” runner prices. Complete your 5k or 10k or Nutty Double (a 5k and 10K anytime on the same day) and submit your results to rundalel@gmail.com. The virtual run may be completed anytime between Saturday April 27 and Sunday May 12. You will receive a race t-shirt (till supplies run out), your race medal(s) and any additional SWAG passed out at the race! HDR members will receive 5 Gran Prix Points for the 10K, 1 for the 5k, or 6 for the Nutty Double. 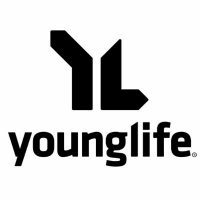 Virtual Runners may pick up their shirts/medals and SWAG at the pre race registration – Vince’s Pizza, Friday May 3, 4-7 pm. Thanks to our sponsors – click the logos to the right. 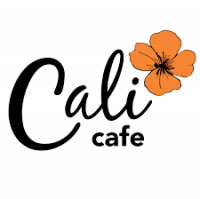 Thanks to the following for providing some awesome awards and prizes: Runners Lane, Cali Cafe, Jamba Juice, Coldstone Creamery, George’s Cleaners, Hi Tech Auto, Vons, Trader Joes, and BJs Restaurant. 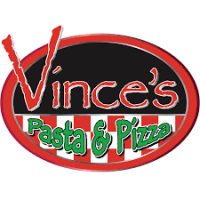 Thanks also to Vince’s Pasta and Pizza for sponsoring our pre race check in and pasta feed. Raffle to be held during the race! Visit the raffle table after your race to see what you won!